The sun has just risen over the urban treeline. I sit in the shed and enjoy the shifting lights and shadows. Not new and novel at a moment. The morning breeze shifts in pace and temperature. 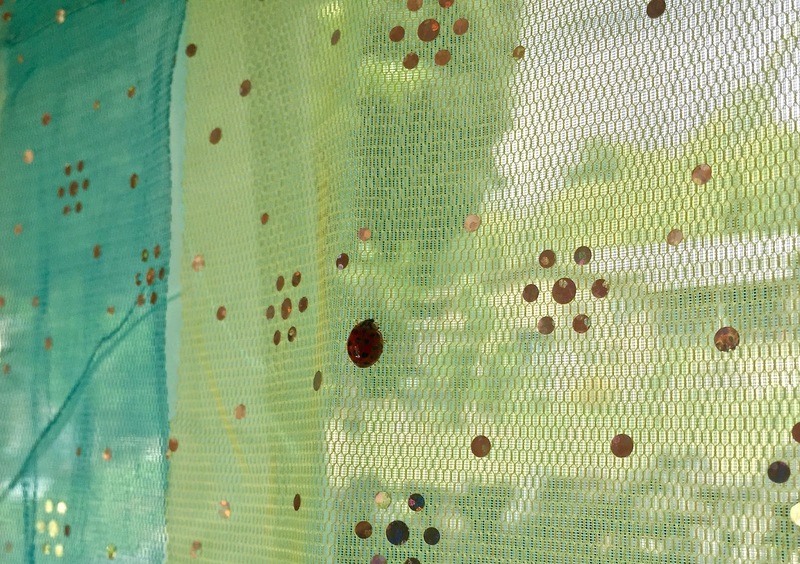 The shadows of the ceanothus and nopal shift, too. What had been a wall of solid color is now a plane of form and texture that remind me of the old silent pictures; zoetrope in muted colors of grey and coral instead of greyscale. I like this place. Looking forward to spending more time here. The past couple of weeks since the wedding have been filled with good things mostly. 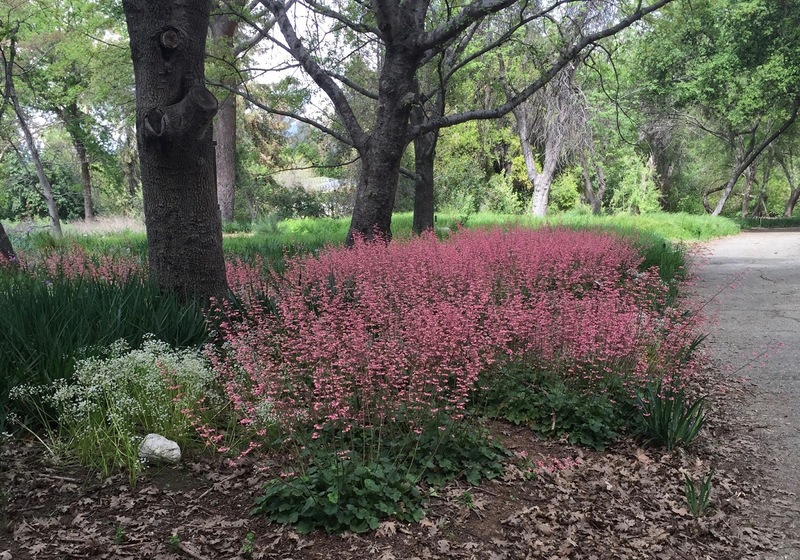 James and I went to Rancho Santa Ana Botanical Gardens. Spring was in the midst of being sprung. We also walked through an exhibit on the work of Marcus Jones. Ten points for you if you know who that is. I had no idea. 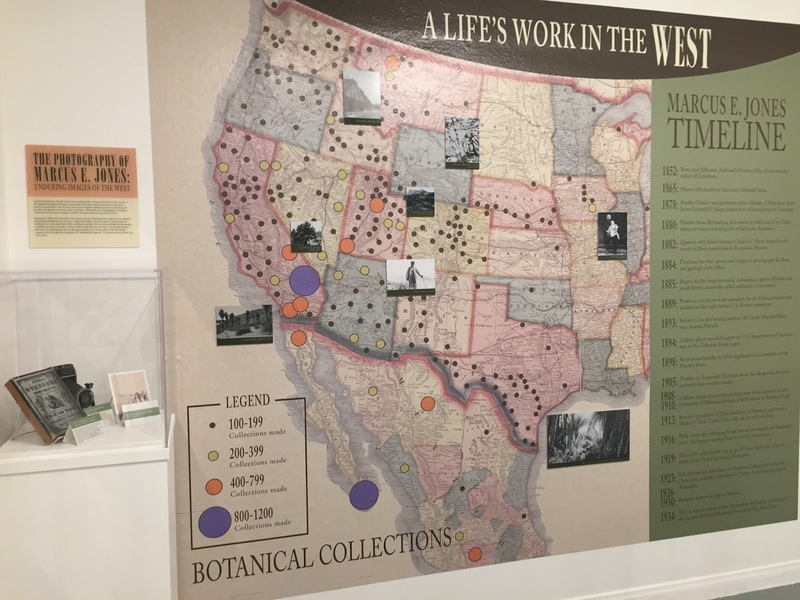 He was a fellow who, like a lot of folks at the turn of the 20th century, came to the west and explored the botanical and cultural flora and fauna. He kept detailed records that have proven useful to this day. He wondered and wandered about the earth; celebrating her gifts. 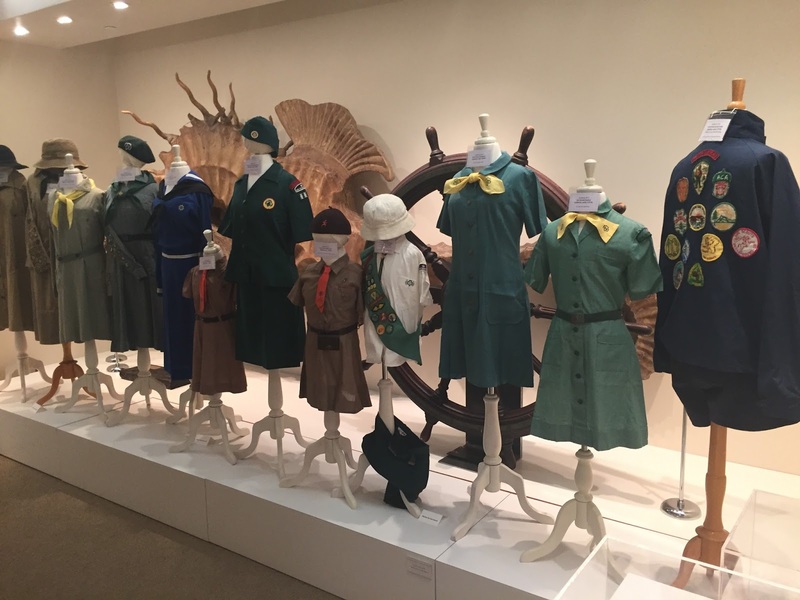 I’ve also been to the Santa Monica History Museum and walked through the exhibit on Girl Scouts. Fun thing about that exhibit is that it was curated by two Scouts who were completing their Silver Award. I recognized several of the historical uniforms. They were not thought of as historical when I wore them. 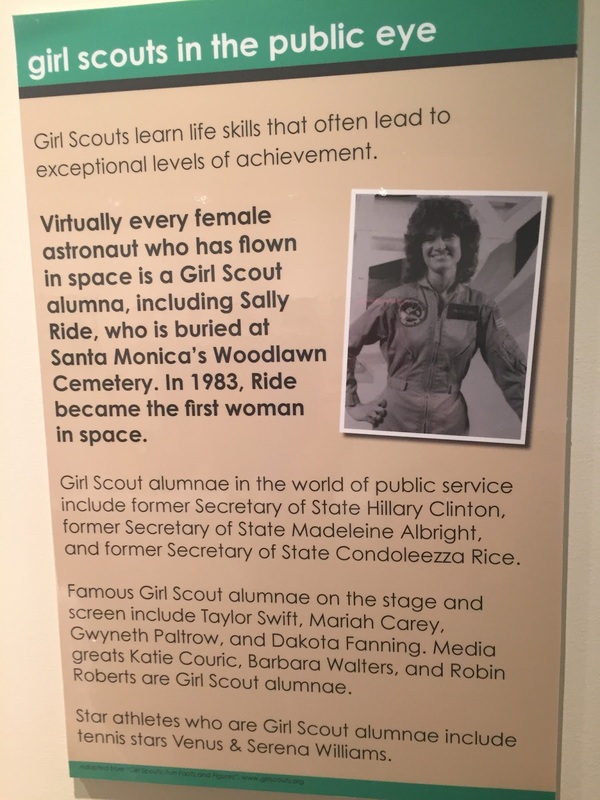 It was enlightening to read about the well-known women who had been Scouts. Last year when I turned 64 I asked friend for suggestions of things that I might do this year. Went with my friend and did one of those things – sort of. 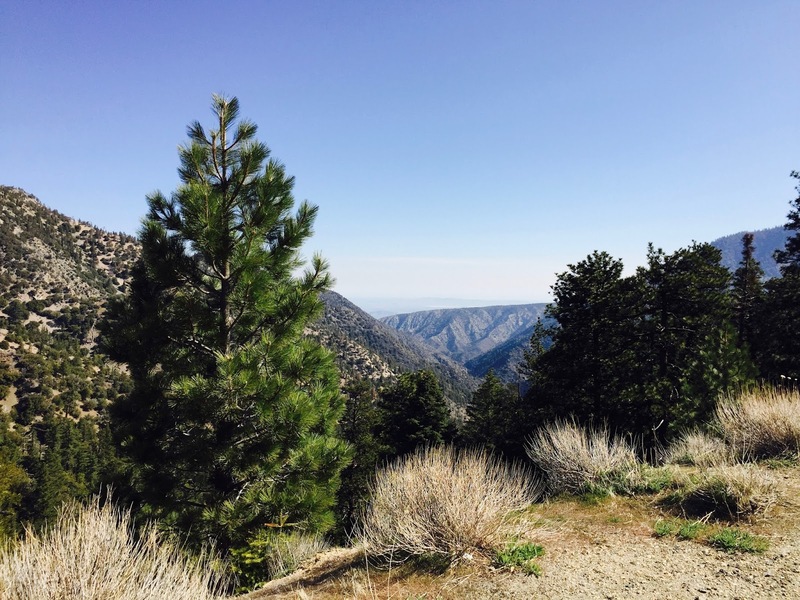 On a Monday morning we rose up fairly early, picked up coffee, and then headed out the Angeles Crest to look for Big Horn Sheep. They rose up earlier than we did. There were none in sight when we arrived. 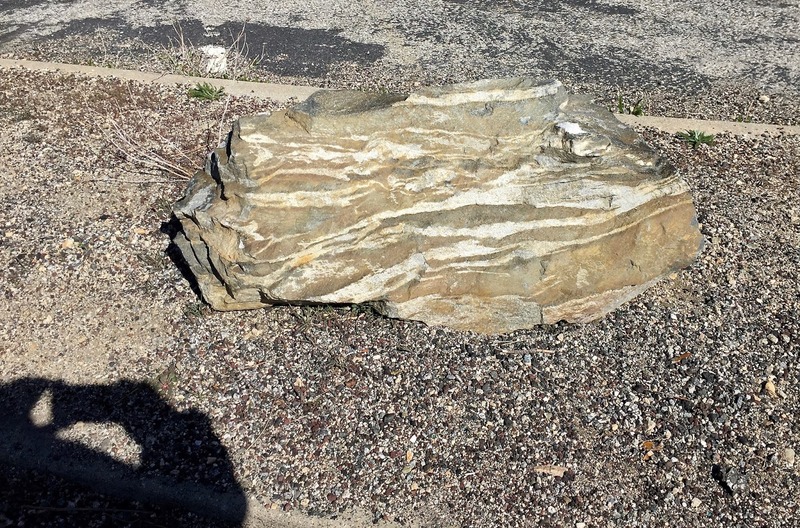 But there was this really gneiss rock and what a vista. 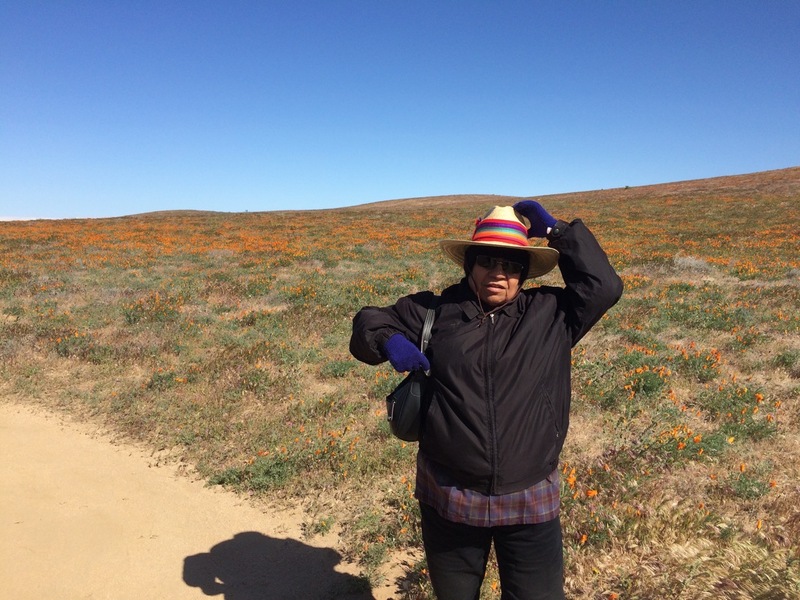 Last week James and I went to the Antelope Valley Poppy Reserve. We were ready to be blown away by a different vista. 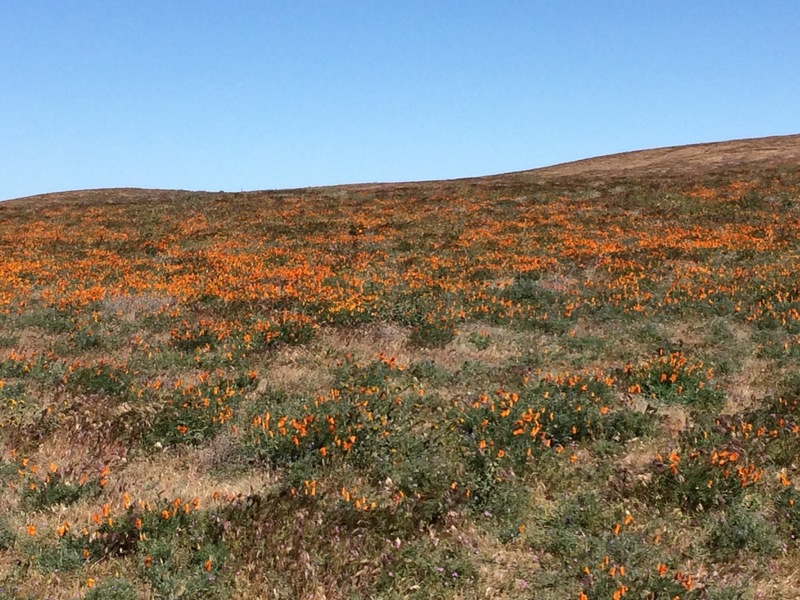 Blown away was the phrase; it was so windy all the poppies were closed. It was beautiful to see them ripple in the wind, when I wasn’t focused on keeping my hat on my head. Today the plan is stay at home. There will still be lots to see.